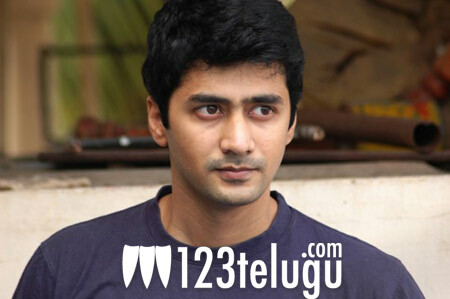 Rahul is one of the lead actors in the upcoming film ‘Andhala Rakshasi’, along with Naveen and Lavanya.In the movie, he plays the character of Gautham. We caught up with Rahul for an exclusive interview and he spoke at length about his experiences working for ‘Andhala Rakshasi’. Rahul is very well educated, jovial and professional. Read on to see what he has to say. Q. What are your expectations from Andhala Rakshasi? A. I have very high hopes on Andhala Rakshasi as I sincerely believe that have a good product on hand. We have done a smart job with the film, primarily because the director had terrific vision and clarity. I am slightly nervous and I am hoping for everything to fall into place for the release. Q. Can you tell us more about Gautham, your role in the film? A. Gautham has so much love inside him for everyone. The word Gautham means the moon faced one. So just like the moon reflects light, Gautham reflects the positive emotions of people around him. Gautham is also very silent, calm and patient. He is a great listener and he will do everything in his power to make people around him happy. It is a very well written character. It took me a few days to get into the zone and understand Gautam, but once that happened, I just had a great time. Q . How were you picked for this role? A. It was purely a stroke of luck. I was referred to Hanu through some friends and once he saw my pics, I was asked to come over. I landed in Hyderabad and met Hanu. I assumed Hanu was an assistant director as he was very young. We had a chat and that is when I realised how mature he is. His vision is so clear. He just wanted to interact with me and check out my body language. “Once you fit into the character, it becomes easier for you as well as me”, said Hanu. To a large extent, I fit the character of Gautham as I am positive and I hate emotions like jealousy. I believe in spreading a lot of love and happiness. Q. When did you decide to become an actor? A. After completing my degree, I pursued my MBA in Marketing from MICA, Ahmedabad. After working as an Assistant Brand Manager with Radio City. One day, I was having a meal at a restaurant in Mumbai. A lady came upto me and asked me if I was interested in auditioning for an ad. That ad was directed by Dibakar Bannerjee. I got more work in the ad field and during this time, I also was asked to dub for the Tamil version of Power Rangers. It was great fun. I was then approached for my first film “Moscow Kavery’ by the office of Oscar Ravichandran. I decided to give up my marketing job and get into acting full time. After a couple of Tamil films, Andhala Rakshasi happened. Q. How do you like Hyderabad? A. Hyderabad is brilliant. People here are so good and warm. There is time for family here and people are not impersonal. I have lived in a few metropolitan cities but Hyderabad is the best. I just love the people here. Q. How was it to work with Hanu and the team of AR? A. Hanu is a friend for life. Andhala Rakshasi is a project that I will cherish and be proud of all my life. Naveen and Lavanya are great to work with. Lavanya is very professional and she lets you do your job comfortably. She is always ready with her dialogues and since she is good with her performance, it automatically brings the best out of you. Naveen is the sweetest chap. He is such a good co-star. He watches out for me and promotes me more than he promotes himself. Q. Are you happy with how AR shaped up? A. Extremely happy. AR is magical. I have seen some visuals from the film and I was just swept away. I sincerely believe that movie lovers will have a great time when they come in to watch the film in a theater. Special thanks to Sai Korrapati garu and Varahi for doing a great job and promoting the film so well. I have received great compliments from people after the trailers came out. Hanu complimented me after watching the final edit of the film and it felt special. A. I have a few projects in hand but I do not want to finalize anything until AR releases. Telugu films are a priority for me and I will be doing Telugu projects for sure very soon. Q. Any message you would like to convey to our readers? A. Hanu has taken great pains to create special characters. Allow us to showcase that magic and entertain you. There are great songs, visuals and the whole thing is very colourful. AR is a pure love story. I hope people will like it. So there it is folks, the transcript of our conversation with Rahul.